An aerial view of the USS ARIZONA Memorial at the northeast end of Ford Island, with markers in the background indicating battleships lost during the Japanese attack on Pearl Harbor on December 7, 1941. Pearl Harbor is located on the Island of Oahu, so it stands to reason that most tours are Oahu Pearl Harbor Tours. Honolulu is the city and county located on Oahu. The majority of visitors to Oahu stay in hotels in the Waikiki Beach area of Honolulu. Waikiki is where most of the Oahu Pearl Harbor Tours depart. However, tours are also available to Pearl Harbor from Ko’olina and the Aulani Disney Resort. Private Tours are available from anywhere on Oahu. If you are considering another form of transportation instead of a tour, please read Alternative Transportation to Pearl Harbor. If a tour that you are interested in is not listed contact us and we will help you to find what you are looking for. 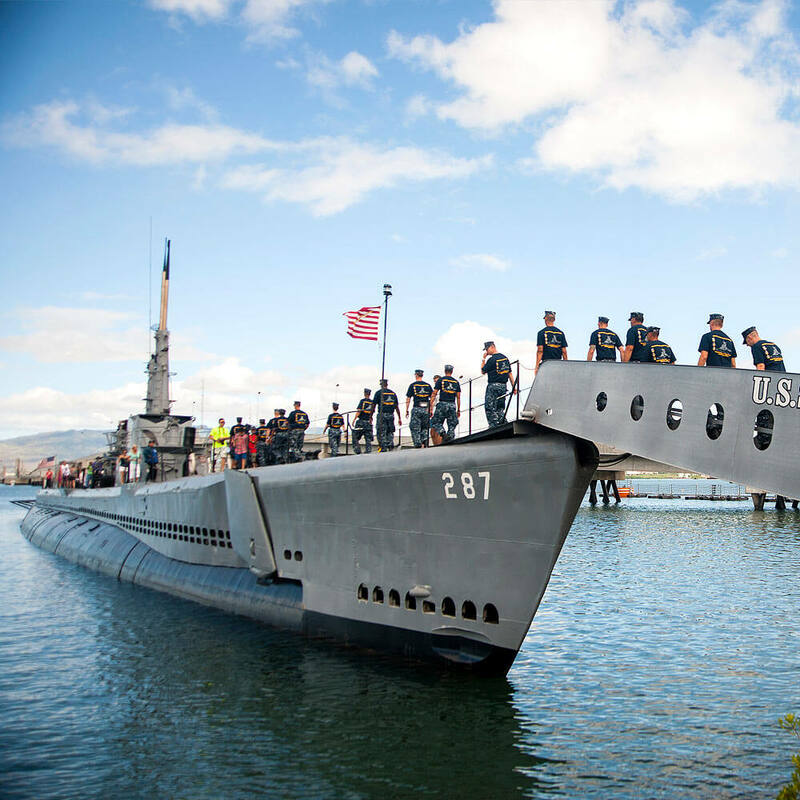 Please review the Pearl Harbor Security Policies before departing on a Pearl Harbor Tour. There are some restrictions to bags that should be noted. Not sure if your tour will pick you up at your hotel? If you are staying in Waikiki, the tour buses stop at various locations and always have a pick up within a block or two of your hotel. Your pick-up time and location will be provided after your tour is confirmed. Don’t worry, if you have a change of plans, our risk-free reservation policy makes life easy.